Starting late last year, some predicted that the 2018 tax changes would cripple the housing market. Headlines warned of the potential for double-digit price depreciation and suggested that buyer demand could drop like a rock. There was even sentiment that homeownership could lose its coveted status as a major component of the American Dream. Now that the first quarter numbers are in, we can begin to decipher the actual that impact tax reform has had on the real estate market. 3 Tips - The information contained, and the opinions expressed, in this article are not intended to be construed as investment advice. RJ Daley and Daley, PLLC does not guarantee or warrant the accuracy or completeness of the information or opinions contained herein. Nothing herein should be construed as investment advice. You should always conduct your own research and due diligence and obtain professional advice before making any investment decision. RJ Daley and Daley, PLLC will not be liable for any loss or damage caused by your reliance on the information or opinions contained herein. 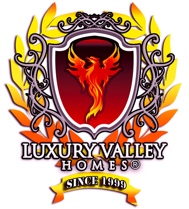 Find out more about the Luxury Valley Homes team. Hello and excellent suggestions for buyers to know about. Make it a great day!